From the beginning I knew I didn't want to do a typical black history post. I wanted to do something a bit unique. 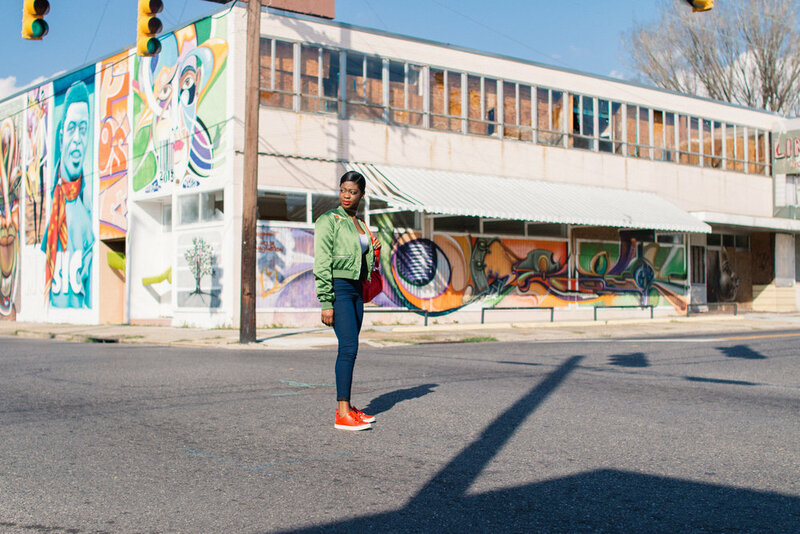 I've always admired the street artwork while driving around Baton Rouge & needed an excuse for a photo shoot showcasing them lol. 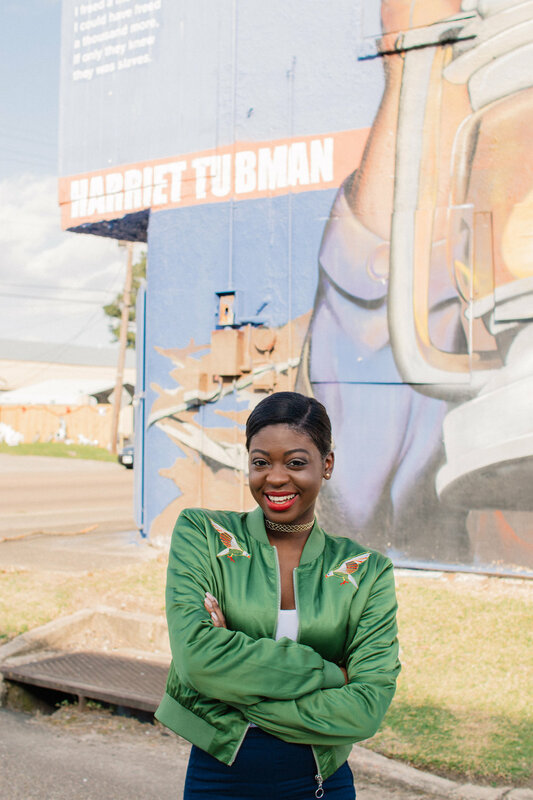 So I've decided to highlight Black History in Baton Rouge; tidbits that may not be commonly known. The first bus boycott happened right here in Baton Rouge in 1953. The more widely known Montgomery Bus Boycott used Baton Rouge as a model. The result of the Baton Rouge Bus Boycott was the passing of Ordinance 222 which permitted African-Americans to be seated on a first come first serve basis, after the two front side seats which were still reserved for Whites. The Baton Rouge Bus Boycott only lasted two weeks but set standards for the Civil Rights Movement. Every time I drive through South Baton Rouge (also referred to as Old South Baton Rouge) , I can't help but to imagine the area in it's glory days. Dozens of abandoned businesses are left with remnants of a great history. During the Civil Rights Movement, many of the middle class residents left the area for housing in other areas as more and better jobs became available for African-Americans. As a result, many of the businesses that stayed were forced to close their doors due to bankruptcy. South Baton Rouge is also home to McKinley Senior High School. The four students in it's first graduating class become the first African-American high school graduates in Louisiana. Wow! What a legacy!? One of the businesses that was forced to close was the Lincoln Theater. During it's heyday it was one of three major theaters that African-Americans could attend in Baton Rouge. It was a place that African-Americans could call their own & go to have fun. (My dad said he saw his first Bruce Lee movie here lol) The building was also home to other black-owned businesses such as insurance companies, a laundromat, & a barber shop. Rooms in this building were also used to host meetings by African-American leaders to plan the previously mentioned Baton Rouge Bus Boycott. The Lincoln Theater Center Foundation has fought to save the Lincoln & it's history. It may not be what it used to be, but it is still providing beauty & inspiration. Seeing this artwork inspired me; it made me want to know more about the community surrounding it. I knew they served a greater purpose that just mere decorations. The feeling that they sparked in me is their exact purpose. Most of this artwork was produced through the Museum of Public Art. 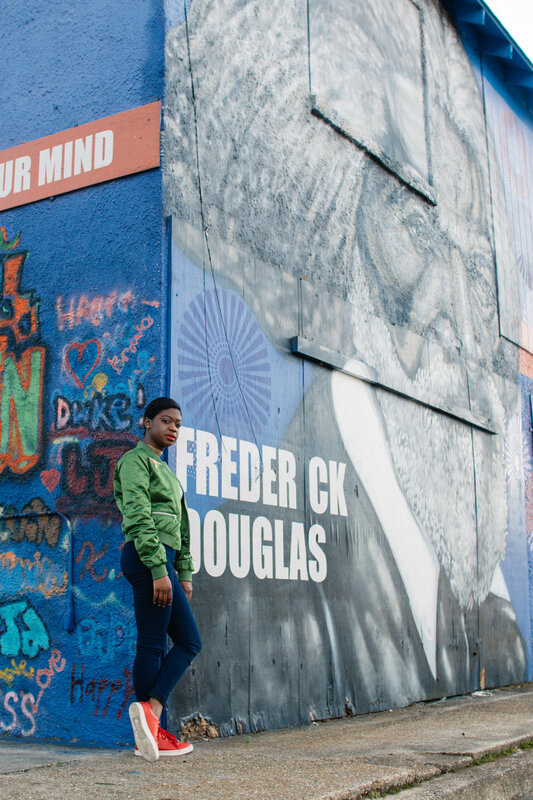 The Museum of Public Art believes that public art encourages positive community development. Public art also instills a sense of hope & history that many inner city communities seem to lack. That's exactly what they do for me; provide hope & history. Seeing the artwork made me want to learn more about the community's history. Knowing what I know now about the African-Americans in Baton Rouge that came before me & the legacy that they left gives me hope for the future. If they were able to build profitable businesses in their time, anything stopping our generation now would be an excuse. 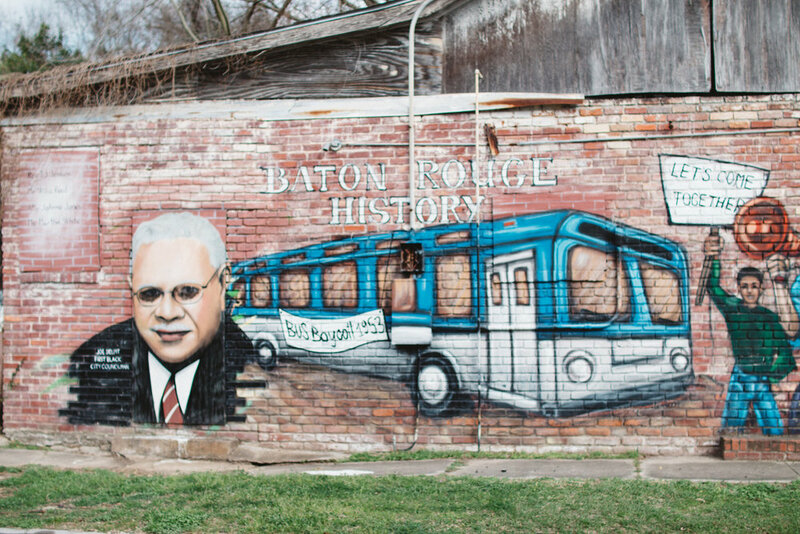 If you have any Baton Rouge Black History facts or favorite murals around town, share them below!